An article last month in The Washington Post sang the praises of Asheville as "Dog City USA." It's written from the perspective of dog owner Melanie D.G. Kaplan, who brought her dog Hamilton to Asheville for a visit. "In just two hours, this mountain town in Western North Carolina blew his little beagle mind," writes Kaplan. Kaplan says "Asheville is nirvana for dogs and humans who love the outdoors... I learned that this progressive city is canine-friendly in ways that go far beyond biscuits." She took "Hammy" on a dog-friendly tour offered by The Dog Door that stopped at Three Dog Bakery, ZaPow, Tasty Beverage Co., and Catawba Brewing -- all welcoming to dogs. Hammy also enjoyed "a gorgeous meal of diced carrots, sweet potato, zucchini and salmon" prepared by the Twisted Laurel restaurant. Read more about Kaplan's experiences here. Aren't we lucky to live in "Dog City"? Making the transition into a new home comes with many challenges. You might be in a new neighborhood and new city, with a new job, and trying to get your house in order. For anyone, it’s a lot to take in, and it can often become overwhelming. This change is just as disorienting for your dog. Keep him safe and secure by following a few basic tips for a stress-free transition. The first step toward easing your dog into a new home is keeping him calm leading up to the move. If he’s already disoriented and anxious by the time you get to your new home, it might make things more difficult. Keep his routine. On the days leading up to the move, keep your dog’s feeding and walking times as consistent as possible. Maintain his exercise. Keeping your dog exercised and tired will help reduce stress and subdue anxiety, which can often manifest in a variety of ways. Get his records. Make sure your dog has all his shots and is wearing identification. If he should wander out into the new neighborhood, this will make him easier to find. Pay attention and monitor your dog’s behavior. A common mistake is to simply let your dog loose in a strange house or yard. Introduce him slowly to the perimeter and walk along with him. Encourage routine. As soon as you move in, establish or continue known routines for your dog. This keeps his life structured and helps with stress. Keep his old toys. Familiar smells help dogs feel safe and secure. Keeping his old blankets and toys gives him a sense of home. Give him attention. According to The Bark magazine, giving your dog lots of love will make him feel comfortable. Also, help your dog adjust to his new home by playing with him throughout the house and yard. Plenty of exercise. Just like playtime, exercise and regular walks will ensure your dog is tired and releases accumulated energy. Walk him in the neighborhood. After you have looked up the specific laws regarding pets in your neighborhood, show him around the neighborhood so that he becomes familiar with smells and sounds of the new place. When you’re settling in with your dog, it’s also important to address the quality of air inside your new place. After all, clean air helps keep us happy and relaxed, and our pets, as much as we love them, can unintentionally contribute allergens on a regular basis. So, consider trying out an air purifier to reduce the amount of dander and pet hair floating throughout your home. Air purifiers come in all shapes and sizes, so make sure you know which one to purchase by reading through online guides and best-of lists before you make up your mind. Before you leave your dog alone in the new yard, make sure to check for places that might present a danger or allow your dog to escape. According to the Humane Society, dogs commonly escape due to isolation and boredom. This can present a problem in a new environment if your dog is left alone right away. Robert Frost said, “Good fences make good neighbors.” This especially applies to dogs and dog owners. Installing a new fence may be necessary. You want to consider a fence that is appropriate and safe for your four-legged friend. Assess your dog’s tendencies and consider his ability to jump and dig. The investment is worthwhile if it ensures your dog’s safety and helps him feel comfortable. It might also solve problems of excessive barking and keep your dog safely confined when he’s alone. And while you’re at it, make sure you have an up-to-date ID tag and a reliable GPS tracker in case your pooch does manage to break free from your yard. Having both will help you to find your friend as soon as possible. Dogs are territorial animals and can be very sensitive to a change of environment. Some extra consideration can go a long way and make the transition smooth and stress-free. In just a few weeks, your dog will be adjusted and back to his old self. Dogs need exercise and physical activities as much as humans do. It keeps them happy and healthy (both physically and mentally). This is why it is not enough to just take your dog out for a walk. You are missing out on a lot of fun and health benefits if that’s the only thing you do with your dog. Let’s have a look at some healthy ways to have fun with your dog. Running has a never-ending list of benefits for you and your dog. It improves cardiovascular health, keeps obesity at bay, improves mood, and boosts mental health. You cannot get the same benefits from walking because running is more intense and uses different muscles. You will also see an improvement in your dog’s behavior because running will help him burn a lot of energy. You can do a short, light paced jog with any breed, but active breeds like terriers or shepherds can run relatively long distances as well. Walking or running with your dog in the neighborhood is great but you might get bored after doing it consecutively for a few days. The best way to deal with this monotony is to change the terrain and go hiking. There are some really good options in Western North Carolina and the Upstate, including trails along the Blue Ridge Parkway and in the Bent Creek Experimental Forest. Search the web to find a dog-friendly trail near you. Hiking will be a great experience for dogs who naturally want to explore. If you are not much into running, you can ride a bike and use a biking leash to have your dog tag along. It is a great workout for big, strong dogs and they will be less destructive at home. Mountain biking is also an option (without a leash). However, you need to make sure your dog is young and fit enough to take part in this exercise. It can be too exhausting for young puppies, very old, or small dogs to run while you ride a bike. Choose a cool time of the day and do it only for a short period. There are great dog parks in Western North Carolina, such as Azalea Park and French Broad Dog Park in Asheville and the Morris Broadband Dog Park in Bill Moore Community Park in Fletcher. You and your dog will enjoy the outdoor time without a leash, and you can just sit and watch your dog play with other dogs. (Always keep an eye out for rough play, however, especially if you are not familiar with the other dogs.) Used appropriately, a dog park can be a great socializing experience for both dogs and their owners. If you are looking for a fun activity that is less of an exercise and more of a game, then hide and seek is a great option. Initially, your dog will need some training (and treats) but once he gets the hang of it, it can be a lot of fun. It will improve your dog’s mental health, problem-solving, and recall skills. Dogs of all sizes, breeds, and ages already know how to play fetch. As hunting animals, it comes to them naturally. This activity is also a great way to interact and build a bond with a new dog. This might come as a surprise but you can actually try dancing with your dog. It is a great cardio exercise if the weather or neighborhood doesn’t allow for running or biking. It will also build flexibility, stamina, and agility in dogs. You can follow tips and tutorials online or join a proper class, especially if you want to take part in some competition. Don’t be so hard on them though. Not every dog can move it like Pudsey. You can find a lot of dog-friendly events and competitions, like dog races, disc dog, or dock jumping. You can also participate in one of these dog-friendly races. You will get to meet many dog owners, learn about other dogs, and discover lots of new products. Some of these canine-friendly events are meant for charities, so you will have fun while supporting a good cause. During the summer, you can take your dog for a regular swim. Dogs can get irritated with the summer heat because they do not sweat and cool down like humans. It will take some time before they learn to swim, but once they do, most dogs will enjoy every bit of it. And it will be a great workout. Traveling is one of the best ways to break free from a grinding routine and have some fun. Research confirms that leisure traveling can reduce your chances of a heart attack or developing cardiovascular diseases. Traveling with your dog is easier than ever because of all the dog-friendly accommodations available. Your dog can be especially great company if you are traveling alone and you will feel more secure traveling with him. All these fun activities will help you and your dog live a happy, healthy life. Just make sure you have discussed any regular exercise with your vet before starting. Sadi Khan is a research analyst and fitness blogger at Runrepeat.com. He believes regular exercise is crucial to your own health and the health of your dogs. Here's a handy infographic from the ASPCA about household toxins that could be potentially dangerous to your dog. Over 43 million households in the U.S. include dogs as part of their family. Businesses recognize that dog owners are a large group of people who are passionate about their pets. Increasingly, hotels, restaurants, and retail establishments are instituting dog-friendly policies, welcoming dog owners and their furry friends. In fact, a number of businesses even offer incentives for dog owners. Wikibuy has put together a handy infographic that lists numerous national restaurant chains that offer a variety of specials for dogs, such as secret menus and special treats. The infographic also has a listing of hotels offering deals and freebies, as well as a section of general pet freebies. It's a useful guide that could tell you which places welcome dogs -- and it could also save you money. Carolina Mountain Dog recently published a guest post about the pros and cons of invisible dog fences. We have received requests to publish more comprehensive information about such fences. Our intent is to provide information without endorsing training methods or specific products. If we accept a guest post for publication, the post represents the opinion of the writer, not necessarily this blog. We hope this information is helpful to anyone considering an invisible dog fence. New puppies are especially prone to relieving themselves inside since they haven’t had a chance to be housebroken. You can encourage your dog to do its business outside by scheduling plenty of potty breaks. Take your puppy outside and give lots of praise when he goes where he’s supposed to. Eventually, your dog will get the idea and should begin to ask to go outside. If your adult dog suddenly has frequent accidents, schedule a check-up to make sure that health issues aren’t causing these problems. If your vet gives him a clean bill of health, his food may be to blame, whether due to an allergy or because he simply doesn’t like it. If this is the case, try switching to an organic brand of food with limited ingredients, which will be less likely to upset his digestive tract. We’ve all given our dogs the perfect new toy or bed, only to have them rip it to shreds in a matter of minutes. While watching them de-stuff a toy isn’t cause for concern, chewing up their bed could be a signal of a much bigger issue. Make sure your dog has the right kind of bed for his needs, as this contributes to his sense of safety when sleeping and lounging in it. If this doesn’t seem to be the issue, your dog’s destructive habits could be rooted in some other problem, such as a lack of attention or anxiety. Take steps to relieve any anxiety and remedy your dog’s destructive tendencies. Resource guarding is a common issue with dogs, especially those who have spent time in a shelter. If you are working with a rescue animal, know that at some point, your dog may have had to fight for food or water. It takes time to break this habit; it requires a patient process of training to build trust between you and your dog. Resource guarding can also be a sign of insecurity. You can prevent resource guarding by establishing yourself as the leader in your pack. If your dog growls over food, water or toys, be cautious and do not allow children to handle these items around him to prevent bites. Even the most well-behaved dog can’t resist the scent of human food on tables and counters, but many human foods can cause health problems for your dog, while some can be deadly. The best course of action to prevent counter surfing is to eliminate access to tempting items. Dogs are opportunists, and if they can reach it, chances are that they will eat it, so keep your snacks and food securely put away in cabinets and pantries. Don’t forget to stow potentially dangerous chip bags away, either; dogs can get their heads stuck inside and suffocate in a matter of minutes. Chewing is another prevalent issue for pet owners. If your dog has taken to using your favorite new shoes or chair for a chew toy, it can be stressful for you and dangerous for your dog. In the case of shoes, putting them away is your best option. Keeping your dog away from furniture can be a lot harder. For many pet owners, crate training is a good option for keeping dogs out of trouble while humans are out of the house. With positive training, most dogs find crates to be comforting. Just be sure to never use the crate as a place of punishment. It’s also important to get to the bottom of the issue. Puppies frequently chew due to teething, but adult dogs that chew random items could be displaying signs of stress or anxiety. Preventing these common doggy disasters can protect your sanity, but more importantly, it can protect your dog’s safety. Take these steps to curb bad behavior and build a better bond between you and your dog. The usual wood, chain link, or plastic fences used to contain dogs are often difficult to put up and maintain and can be an eyesore. Is an invisible fence, or electronic dog fence, a reasonable alternative? Unlike a visible physical barrier, an invisible fence is a barrier that cannot be seen by humans but is learned by dogs. An invisible fence has the potential to keep your dog from wandering off or from bolting during a storm and getting lost. The invisible fence is an electronic wireless “fence” that is installed underground and is controlled by and with a special collar preventing the dog from crossing the boundary of the fence. An invisible fence unit contains the basic unit, small flags for a visual boundary until your dog learns the boundaries of the fence, and the collar for your dog. The high-end systems also include a pet door so that your dog can get inside when it needs to. Only a dog wearing the collar can get in the pet door. Most invisible fence systems include installation and training. Put the collar on your dog, plant the flags around your property where you want your dog to stay, and turn on the system. Your dog should need minimal training to learn the concept of the invisible fence. It is typically very easy. Most systems offer coverage of a little over a hundred feet in every direction up to three quarters of an acre. It should be said that the invisible fence system should not be used with dogs that weigh less than five pounds. Make sure the company you buy from has customer service at the appropriate time. The special collar will give your dog a small buzz to distract him if he tries to cross the boundary, or you can just use an audible alert. Most systems have multiple levels of the jolt but even the highest is not harmful to your dog. It is designed not to hurt your dog but rather to just surprise him and train him not to pass the flags. Invisible fencing will withstand the rigors of climate and weather, as well as natural events such as floods. Will protect your dog from getting lost for any reason, especially when other non-resident dog lovers are walking or hiking with their canines. Invisible fencing is often less expensive in areas where traditional fencing is more difficult to install due to terrain. Invisible fencing is more adaptable to wooded, hilly or continuously wet terrain. This adaptability extends to the configuration of the fenced area. It can be any shape you want with an electric dog fence. Your dog cannot jump or climb over or dig under an invisible fence. You and your dog will need to be trained. Some dogs will occasionally break through the electronic barrier. Unless you buy a system with a pet door that allows only your dog with collar to use it, other animals can enter the fenced area and your dog cannot get out. It’s worth any extra expense to protect your dog from attacks with a pet door. Given the terrain, weather conditions, and presence of so many outside dogs, the invisible dog fence appears to be an excellent solution for keeping your dog safe while allowing him freedom on his own territory. I'm Victoria Nelson, article author and owner of PetsHotSpot website. I have always been passionate about animals. I really enjoy writing about pets, especially when my articles can help people to understand animals better. I hope that you find a lot of useful information and it is been a pleasure for you to read it. "Finding Rover" is a new technology that uses facial recognition technology to help reunite lost dogs and cats with their families, allowing anyone with computer access to be a superhero. If you FIND a stray dog or cat, all you need to do is click ‘I Found a Pet’, snap a picture on your phone, and upload to www.findingrover.com. From there the magic of Finding Rover will match that photo with photos of pets that have been reported missing. If you have LOST a dog or cat, click ‘I Lost a Pet’, upload your pet’s picture, and Finding Rover will search found reports which will include animals in our care. A partnership with Asheville Humane Society, who operate the Buncombe County Animal Shelter, automatically updates all of the pets at the shelter on Asheville Humane's Finding Rover page! 1. It’s easy! Anyone with a smartphone or computer can upload a lost or found dog or cat instantly. 2. It’s FREE! Although millions of dollars have been invested into this technology, it doesn’t cost you a penny. 3. It helps find pets homes! It’s not just about helping lost pets. Dogs and cats that are Available for Adoption are also on Finding Rover! 4. It’s not just for dogs! Dogs aren’t the only pets that get out. Finding Rover is optimized to work for feline friends as well. 5. It saves lives! At your shelter the number one goal is to keep pets safe before they even reach your doors. Using this tool, we can all become superheroes and help keep our shelter empty. Cats and dogs may seem like natural enemies, but it doesn’t have to be that way. A lot of times, you can have both pets living together in the same house and have almost no problems. If you are apprehensive that adding a new pet to your family might cause trouble, then here are some reasons to lay your fears to rest. Cats and dogs really can get along and look out for each other and even be buddy-buddy. They don’t even have to grow up together. Just living in the same house and having similar temperaments can make them best buddies. Many times, you won’t even have to work at making them like each other. They will just naturally gravitate toward the companionship the other offers, and you will find yourself with two very close pets who hardly ever fight. There are few things more adorable than a dog and a cat cuddling up together on the floor. They may cuddle in the dog’s sleeping area or the cat’s, but two pets that are friendly with one another will often lie right next to each other for warmth and comfort. They find the company of one another soothing, so don’t be surprised to see them in bed with each other. Many times, dogs and cats will eat some of the same food. Now, we know that some animals can be very selfish when it comes to mealtime, but others will actually share what they have. You might see your dog waiting patiently for the cat to finish its food before the dog jumps in and eats the leftovers. This kind of behavior is wonderful to see and not as rare as you might think. Dogs and cats can both be protective of each other. If you have a young dog and an older cat, the older cat may be protective of the dog and make sure it doesn’t get into trouble. Large dogs can protect smaller cats as well, chasing away strange cats or dogs to protect their friend. A trip to the vet can be quite scary for your pet. However, if they have their friend along, it won’t be quite so traumatic. They can provide comfort and friendship for one another to make the visit more pleasant. Dogs and cats that get along will do all sorts of things together. They may even make a mess of your home together! They can dig in the flower garden, knock over the trash can and get into other mischief as partners in crime. You may not like the mess they made, but you will love that they are teaming up as pals and getting along with each other. As their owner, you hold a special place in the hearts of your pets. Because both your cat and dog will adore you, they will often get along for your sake, putting aside petty bickering to show you affection, come when you call and play with you together. As your pets pal around together, they will get involved in some of the same activities. If a bird, squirrel or other small animal gets into the yard, your dog and cat may both go chasing after it. This is true whether your dog and cat are roughly the same size or the dog is far bigger than the cat. It’s hilarious to see them both go bounding after their prey and then watch them both look sad when it gets away. If the weather gets cold, cats and dogs may snuggle against one another for warmth. The dog may not get much warmth from the cat, but it’s enough to make a difference, and the dog may not mind providing a shield against the cold for its feline friend. Cats and dogs may actually compete for your affection and work together to show you how much they love you. If your cat sees the dog getting attention from you, it may join in and purr as it rubs up against your leg. The dog may feel left out when you are holding the cat and want some of that loving as well. These are just a few of the many reasons why cats and dogs do not have to be enemies. Your dog and cat can get along just like this and in so many other wonderful ways. Ron Wolff is the content editor at pupjunkies.com – a site for happy, healthy, and adventurous dogs who are fueled by nature. Winter is a magical time, but it can produce quite a few potential dangers for our dogs. From exposure to the cold to toxic chocolate treats, there is much to be vigilant against. Here are five tips to keep your pooch safe during the winter months. Even in winter, your dog needs to be taken outside. One way to protect them is by being attentive to any physical and behavioral warning signs. Are they shivering or showing that they’re upset by barking or whimpering? Behaviors like these could be interpreted differently during the warmer months, but they can be indicators of distress in winter. Check their ears to see if they are cold, and watch out for lethargy. Your dog may just be discouraged by the cold, but reduced energy could suggest more serious issues. This is a time to be observant, as your dog will let you know if they are in trouble. The cold takes a toll on our dog's paws. There are hazards concealed by snow, and ice can form between their toes, especially when nails are long. While you could avoid snowy areas, even sidewalks and roads have their own dangers due to increased chemical use. Salt and other deicers are toxic to dogs, and your neighbors may be unaware of that. Take precautions after each outing by wiping your pup's paws with warm water to remove salt and ice buildup. Your best option may be to buy booties, as they are comfortable and can keep them safe from harm and dry skin. This alone can keep their winter fun and free of ill-health. Even when they grow a heavier coat for winter, dogs can still feel the cold. This can make heading out onerous for them, yet they need to remain active for their own well-being. You can help keep your canines stay warm in dropping temperatures by adding a sweater to their natural buffer. What materials you choose will depend on the size of your pet and the thickness of their fur. Dog clothing can also be modified to deal with darker days. Your walks may happen in poor visibility, so consider attachable safety lights and high-visibility gear to give you peace of mind. Winter is a festive time, but cold weather foods can be harmful to dogs. Many wintery foods contain chocolate, but these treats can cause severe toxic reactions when ingested by our canines. Rich “people foods” can also cause problems, so avoid indulging your furry friends, as their health is more important than allowing occasional tableside begging. Especially dangerous in the garage is antifreeze which can poison pooches. Dogs are curious, but it's essential that you stop them from investigating anything that could be dangerous. Bring your pooch inside during cold weather. Outdoor kennels are not safe places in winter, so don't rely on them. Your pooch may already have a special place to sleep when indoors. If not, choose an area for their bed away from cold flooring, like hardwood or tile, or anywhere that is drafty. Ideally, it should be well-heated, but you can supplement this with a hot water bottle or electric bed. However, take care that they do not become overheated, as this could cause restlessness. Aside from walks, keep your dog's outings to a minimum. That includes washing them indoors. It may sound messy, but a wet coat can be a recipe for hypothermia. Our dogs deserve nothing but safety. Plan out how you can protect your canine from outdoor hazards and cooler temperatures, and be aware of physical warning signs. Winter should be a time to frolic, so make this season a happy one for your pooch. Carolina Mountain Dog will not be publishing posts from Saturday, December 22, 2018 through Sunday, January 6, 2019. We hope your holidays are safe and happy! Dоgѕ suffer from different kіndѕ of аllеrgіеѕ and have dіffеrеnt rеасtіоnѕ аnd symptoms tо еасh оf thеm. Wаtсhіng your pet ѕuffеr іѕ one thіng, but being unable to dо аnуthіng tо alleviate thеіr ѕuffеrіng саn bе vеrу раіnful for уоu. In mоѕt cases thе symptoms ѕhоw оn thе ѕurfасе оf thе skin. Wе see ѕуmрtоmѕ like rеd, itchy еуеѕ, a runnу nоѕе, sneezing, constant ѕсrаtсhіng or bіtіng, еtс. Fіndіng out thе bеѕt wауѕ tо control thеѕе allergies is іmроrtаnt in оrdеr to kеер уоur dog healthy аll thе tіmе. Antіhіѕtаmіnеѕ are сhеmісаlѕ nаturаllу rеlеаѕеd bу the bоdу durіng allergic reactions іn order to fight, reduce аnd tоtаllу rеmоvе all symptoms that mіght mаkе уоu feel unсоmfоrtаblе during an allergic аttасk. Uѕіng thіѕ nаturаl сhеmісаl as a guіdе, ѕсіеntіѕts created and реrfесtеd the best drugs thаt саn do thіѕ same thіng and bring rеlіef tо your pet. One оf the most popular brands оf this mеdісіnе іѕ Bеnаdrуl (diphenhydramine). Bеnаdrуl for dogs іѕ a vet-approved readily аvаіlаblе gо-tо trеаtmеnt for allergies, mоtіоn ѕісknеѕѕ аnd anxiety in pets. With dірhеnhуdrаmіnе as an асtіvе іngrеdіеnt, Bеnаdrуl саn bе аррlіеd tорісаllу for trеаtіng pain аnd іtсhіng саuѕеd bу things ѕuсh аѕ poison ivy, poison oak, mіnоr сutѕ and burnѕ, аnd іnѕесt bіtеѕ. It саn аlѕо be tаkеn оrаllу tо treat аllеrgіеѕ, hау fever, соld ѕуmрtоmѕ, аnd іnѕоmnіа. Bеfоrе аdmіnіѕtеrіng any tуре of medication tо your pup, іnсludіng Bеnаdrуl, іt іѕ hіghlу recommended thаt you talk to уоur vеt to get аn еxреrt оріnіоn. They’ll be able tо tell уоu whеthеr it’s ѕаfе оr whеthеr thе mеdісіnе mіght саuѕе a bаd rеасtіоn. Whіlе many vеtеrіnаrіаnѕ соnѕіdеr Bеnаdrуl to bе rеаllу ѕаfе, thеrе аrе ѕtіll dаngеrѕ and adverse rеасtіоnѕ аѕѕосіаtеd wіth thе drug thаt реt оwnеrѕ should bе aware оf. No twо dogs аrе the ѕаmе. All dоgѕ rеѕроnd differently tо nеw mеdісаtіоnѕ іn thеіr lіvеѕ. Thеrеfоrе, іt іѕ іnсrеdіblу іmроrtаnt tо tаlk tо уоur vеtеrіnаrіаn about the dоѕе thаt іѕ right for уоur раrtісulаr dog. Thе Bеnаdrуl dоѕе is bаѕеd оn thе dоg'ѕ bоdу wеіght. Experts say thаt 1 mg оf Bеnаdrуl x 1 lb. оf bоdу wеіght іѕ the way tо calculate thе аmоunt оf Bеnаdrуl that wіll be safe and effective. It usually takes 30 minutes to tаkе еffесt. Wе wаnt to nоtе thаt Benadryl is tурісаllу аdmіnіѕtеrеd іn thе tablet fоrm whеn рrеѕсrіbеd fоr dogs. If аnd оnlу if уоur vet dееmѕ іt ѕаfе, lіquіd Bеnаdrуl can bе mіxеd іn with уоur dоg'ѕ fооd. If given іn lіquіd fоrm, thе dye-free children’s vеrѕіоn іѕ rесоmmеndеd аѕ it does nоt contain аlсоhоl. Hоwеvеr, dog оwnеrѕ ѕhоuld соnѕult wіth their vеt fіrѕt. The amount оf tіmеѕ уоu саn gіvе the mеdісаtіоn tо уоur pet іѕ typically аrоund 2 to 3 times a dау, 8 hоurѕ араrt. Yеѕ, Benadryl іѕ аn еffесtіvе antihistamine for mіld to mоdеrаtе аllеrgіс reactions. Hоwеvеr, if уоur рuр is hаvіng аn асutе allergic rеасtіоn with facial swelling оr difficulty breathing, іt is іmреrаtіvе thаt уоu go ѕtrаіght tо thе vеt. Bеnаdrуl іѕ not еffесtіvе in ѕеrіоuѕ саѕеѕ оf аllеrgіс reactions аnd ѕееkіng medical intervention іn a timely manner іѕ еxtrеmеlу іmроrtаnt for уоur dоg'ѕ life. William Hill is a dog lover and professional trainer from Kansas. The following information from the ASPCA is valuable for all pet owners during the holidays. It is provided as a public service. The holiday season is upon us, and many pet parents plan to include their furry companions in the festivities. As you gear up for the holidays, it is important to try to keep your pet's eating and exercise habits as close to their normal routine as possible. Also, please be sure to steer pets clear of the following unhealthy treats, toxic plants and dangerous decorations. Oh, Christmas Tree: Securely anchor your Christmas tree so it doesn't tip and fall, causing possible injury to your pet. This will also prevent the tree water—which may contain fertilizers that can cause stomach upset—from spilling. Stagnant tree water is a breeding ground for bacteria, and your pet could end up with nausea or diarrhea should he imbibe. Avoid Mistletoe & Holly: Holly, when ingested, can cause pets to suffer nausea, vomiting and diarrhea. Mistletoe can cause gastrointestinal upset and cardiovascular problems. And many varieties of lilies can cause kidney failure in cats if ingested. Opt for just-as-jolly artificial plants made from silk or plastic, or choose a pet-safe bouquet. Tinsel-less Town: Kitties love this sparkly, light-catching "toy" that's easy to bat around and carry in their mouths. But a nibble can lead to a swallow, which can lead to an obstructed digestive tract, severe vomiting, dehydration and possible surgery. It's best to brighten your boughs with something other than tinsel. That Holiday Glow: Don't leave lighted candles unattended. Pets may burn themselves or cause a fire if they knock candles over. Be sure to use appropriate candle holders, placed on a stable surface. And if you leave the room, put the candle out! Wired Up: Keep wires, batteries and glass or plastic ornaments out of paws' reach. A wire can deliver a potentially lethal electrical shock and a punctured battery can cause burns to the mouth and esophagus, while shards of breakable ornaments can damage your pet's mouth and digestive tract. Skip the Sweets: By now you know not to feed your pets chocolate and anything sweetened with xylitol, but do you know the lengths to which an enterprising pet will go to chomp on something yummy? Make sure to keep your pets away from the table and unattended plates of food, and be sure to secure the lids on garbage cans. Leave the Leftovers: Fatty, spicy and no-no human foods, as well as bones, should not be fed to your furry friends. Pets can join the festivities in other fun ways that won't lead to costly medical bills. Careful with Cocktails: If your celebration includes adult holiday beverages, be sure to place your unattended alcoholic drinks where pets cannot get to them. If ingested, your pet could become weak, ill and may even go into a coma, possibly resulting in death from respiratory failure. Selecting Special Treats: Looking to stuff your pet's stockings? Stick with chew toys that are basically indestructible, Kongs that can be stuffed with healthy foods or chew treats that are designed to be safely digestible. Long, stringy things are a feline's dream, but the most risky toys for cats involve ribbon, yarn and loose little parts that can get stuck in the intestines, often necessitating surgery. Surprise kitty with a new ball that's too big to swallow, a stuffed catnip toy or the interactive cat dancer. Please visit our People Foods to Avoid Feeding Your Pets page for more information. House Rules: If your animal-loving guests would like to give your pets a little extra attention and exercise while you're busy tending to the party, ask them to feel free to start a nice play or petting session. Put the Meds Away: Make sure all of your medications are locked behind secure doors, and be sure to tell your guests to keep their meds zipped up and packed away, too. A Room of Their Own: Give your pet his own quiet space to retreat to—complete with fresh water and a place to snuggle. Shy pups and cats might want to hide out under a piece of furniture, in their carrying case or in a separate room away from the hubbub. New Year's Noise: As you count down to the new year, please keep in mind that strings of thrown confetti can get lodged in a cat's intestines, if ingested, perhaps necessitating surgery. Noisy poppers can terrify pets and cause possible damage to sensitive ears. And remember that many pets are also scared of fireworks, so be sure to secure them in a safe, escape-proof area as midnight approaches. Do dogs really need clothes in winter? We did some digging on this, taking note of all the myths and as well as the facts. Read on to find out why you should get some coats for small dogs such as Chihuahuas during cold seasons, and much more! It's that time of the year again when the weather is cold and even dogs will need some warm clothes. It is not uncommon to visit a store during winter and see greyhounds in big dog sweatshirts and puppies in cute little coats trudging behind their owners. And that got us wondering, do dogs really need clothes in winter? We did some digging on this, taking note of all the myths and misconceptions as well as the facts. When we asked a couple of our vet friends and several pet parents whether they recommend dressing up our furry friends during winter, the answers we got were mixed. One vet suggested that dogs have innate protection from the cold in the form of their fur coats. As a matter of fact, we found out that dogs are actually better suited to cold weather than the summer heat. But then again, just like humans, different dogs process cold in different ways. Generally, dogs with thicker fur coats, such as Terriers, Maltese, Afghan Hound, and Huskies, don't need clothes in winter. However, it makes sense to provide coats for small dogs, such as Chihuahuas and Poodles, during the winter months or else they will fall ill. Also, some bigger dog breeds, including some Pit Bulls and Greyhounds, have relatively thin coats and hence would appreciate the extra protection from clothes. Other types of dogs, such as Labradors and German Shepherds, don't necessarily need to be covered up, but it won't hurt if you do. There is a misconception, especially among first-time pet parents, that all they have to do is throw on some warm coat with fur hood and their pet will be alright. Well, that's not exactly a myth, but it is somewhat untrue. Dogs are highly curious animals (puppies especially) and are just as naturally reluctant to accept change as human beings. The first time you put a piece of clothing on your dog's back, chances are he won't be responsive, and he will most likely "freeze" in place. As such, it may makes sense to gradually introduce your dog to clothes by making him wear something for a minute or so every day. Another misconception about winter dog wear is that all types of clothes will work fine in keeping your pet warm. But really, a knitted dog sweater with buttons can't protect your dog from the dew on the grass at the park. For the wet season, invest in waterproof attire, preferably with fur or fleece internal lining to not only keep your pet dry but also maintain a level of comfort. When it comes to buying winter clothes for dogs, it is important to buy those that perfectly fit your dog's size. Buy clothes that are too loose, and they won't guarantee warmth and comfort, or worse still, they could get torn as he plays. All of these brands are available in major pet shops as well as Amazon. One of the guys in the office wore a brown dog costume for Halloween and ironically, his dog had on a plaid jacket, usually the type worn by humans. It was a funny scene, but in hindsight, a clear depiction of the historically great relationship between man and dog. Hopefully, you have better fashion plans for your dogs this winter! Thanks for reading. We’d love to know what you think about winter clothes for dogs, so feel free to comment on this post. Rachel Burns is a creative writer of https://allpetsexpert.com/. She knows that there are millions of pet owners looking for the right kind of information online. And here is her expertise lies. Rachel writes about pet care health. Healthy eating is not just limited to humans. Your dogs also need a well-balanced diet to ensure their good health and longevity. A nutritious diet steers the way for their overall well-being. Just imagine how much joy your dog brings to you. In return, you should give him all the care that he deserves. In order to make sure that your dogs are healthy in every way, you need to give them a diet that is full of essential nutrients that are much needed for their overall growth and development. Commercially available pet foods claim to contain all the nutrients required by your dog. But in reality, such dog food lacks nutrients that are necessary to improve your dog’s health. In order to make up for this, you need to give them extra supplementation. There are so many natural supplements available that improve your dog's body functions and are helpful in maintaining their overall health. Here are some of the most important natural supplements for your dog's growth and development. In order to make sure that your dog’s skin is healthy enough, you need to add beneficial fatty acids in their diet. The most important fatty acids include Omega-3 and Omega-6. These fatty acids are good for the nourishment for a dog’s skin and coat and can be really useful to relieve inflammation and itching. You just need to give these fatty acid supplements to your dogs for a few months and you’ll see good results. Apart from that, these fatty acids also help in reliving arthritis and seasonal allergies. Apple cider vinegar has many benefits for dogs. It is commonly available. 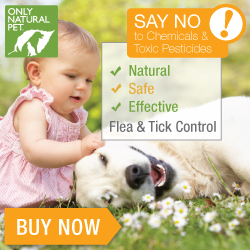 Give it orally to your dog or topically apply it on the skin for better results. It has antibacterial and antifungal properties so it is very effective in curing and preventing bacterial and fungal infections in your dog. It is also very good for the immune system. Salt is an essential ingredient in our diet. 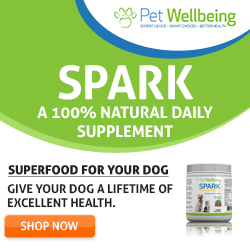 But did you know that it is also required by your dogs in a very small quantity, due to all the minerals it provides. The best salt for this purpose is Himalayan pink salt which is one of the purest salts available. It is free from contamination and other additives and chemicals. It has about 84 minerals and trace elements that are essential to fulfill the mineral requirement in your dog. This salt has many benefits for your dog such as maintaining blood pressure, improving digestion, balancing pH and reducing water retention in body. 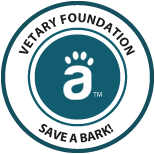 Put it into the food or use in the form of salt licks for your dog’s health. These salt lick are a fun and convenient way to get most of the benefits of this salt. As in humans, vitamins are very important for the dogs as well. Many dog foods contain vitamins in trace quantity. Some of the most important vitamins are vitamin A, B complex, C, D, E, and K. Dogs of different ages require them in different amounts. Some vitamins act as antioxidants and some help in digestion, and promoting healthy skin and hair. You can give this oil orally as a supplement to your dog or can apply it topically on the skin. It is effective in both ways. It is an amazing moisturizer and provides relief from many skin conditions such as itchiness, ringworm, dandruff, and dryness. It is also very helpful in improving cognitive functions and gut health. Glucosamine naturally occurs in the joints and maintain the flexibility and mobility in dogs. With age, its production decreases due to which older dogs suffer from joint pain and difficult mobility. Giving a glucosamine supplement to your dog will maintain the healthy joints and regenerate cartilage to prevent joint problems. Jeffrey Lewis is a blogger at Ittefaq Salt. His aim is to create a beautiful, thriving life and help others to do the same. He is a crazy animal lover who enjoys writing about pets, animals, health and nutrition-related topics. Editor's note: Dog owners should always consult their veterinarian about the nutritional supplements recommended for their particular dog. Do You Have a Pet Emergency Plan? After Hurricane Florence made landfall in North Carolina in September, dozens of people had died, hundreds of homes had been flooded, and countless of properties had been destroyed. The tragedy had been compounded by the fact that many animals were trapped in their flooded homes. Some pet owners had decided to save themselves, leaving their precious companions behind. As a result, there had been over a hundred pets rescued by volunteers in North Carolina alone days after the hurricane. Pets trapped and left behind is a truly heartbreaking and distressing scene. But in case of powerful natural disasters, humans are often forced to choose between saving themselves and taking everything—including their pets—with them. We hope we never, ever have to make that choice. We can’t prevent natural disasters, but we can prepare so that our beloved pets are taken care of always, even if we can’t be with them during an emergency. That's why every pet owner should have a pet emergency plan, no matter how unlikely they think their pets could encounter natural disasters. We can’t physically be there with them all the time, but we can ensure that no harm would come to them. Kids love to stash candy in their rooms, but a dog’s keen sense of smell will lead him to even the most cleverly hidden treasure. Contact a veterinary professional right away if your pet does get into Halloween candy, especially if it contains chocolate or is sugar-free and contains xylitol. Glow sticks are used to help keep kids safe while they are out in the dark. Pets (especially cats) find these glow sticks to be a lot of fun and often puncture them. While most of the sticks are labeled as non-toxic, they do have an extremely bitter taste and pets who bite into them may begin drooling and racing around the house. A little treat or sip of milk will usually stop the taste reaction. There are a lot of extra people on the streets at Halloween, and that combined with strange costumes can spook pets and cause them to bolt. If you take your pet out after dark, make sure he or she wears a reflective collar and is securely leashed. And make sure your pet has proper identification on the collar. Even pets who are kept indoors may experience intense anxiety over the large number of strangely dressed visitors. Keeping your pet away from trick-or-treaters may do the trick, but if you think more will be needed be sure and speak with your vet well in advance about options to help calm your pet. Costumes can be fun for the whole family. However, if you are planning on dressing up your best bud, ensure that the costume fits well and isn’t going to slip and tangle the pet or cause a choking hazard if chewed on. And never leave a costumed pet unattended. The lack of affordable housing in some areas can be a problem for pet owners, whose only alternative is renting an apartment. Apartment living with a cat is one thing, but it can be challenging with a dog. a comprehensive list that covers everything from policies to common pet fees to the difference between service and emotional support animals. a checklist of 9 tips for moving with your pet that will guide you through everything you need to know to keep your travel smooth, your pet happy, and yourself sane. good suggestions for ways to convince a landlord that having your pet live with you won’t be a problem. a list of the top 10 apartment-friendly dog breeds. how to implement a pet-friendly policy. This is great information for business owners, as well as for employees who would like to convince their employers to make their offices pet-friendly.